Chi machines were developed in Japan, where health improvements via the spine, through swinging one’s feet from side-to-side, have been known about since the early 20th century. A Japanese doctor observed that “goldfish exercise” can benefit your health in a remarkable number of ways through stimulating the nerves that connect every organ in your body to your spinal column. Millions of Japanese people have since confirmed the truth of this observation. The original chi machine swings the feet at a fixed rate of 140 rpm. Although we often find this speed ideal for many people, we are also aware that other speeds are helpful for certain conditions. For example, we have seen clients who are recovering from illness or suffering arthritic conditions, benefit from much slower speeds. Fortunately, the Surge of Chi Exerciser can be adjusted to whatever speed works best for you. The Surge of Chi Exerciser increases both your health qi and your creativity qi. The locations and quantities of creativity qi in your energy body don’t only determine the kinds and strengths of your creativity in the usual sense, but also your ability to respond effectively to the problems or challenges that appear in your life. Specifically, the Surge of Chi Exerciser increases health qi in the 2nd, 4th and 6th (also creativity qi) and 7th chakras. 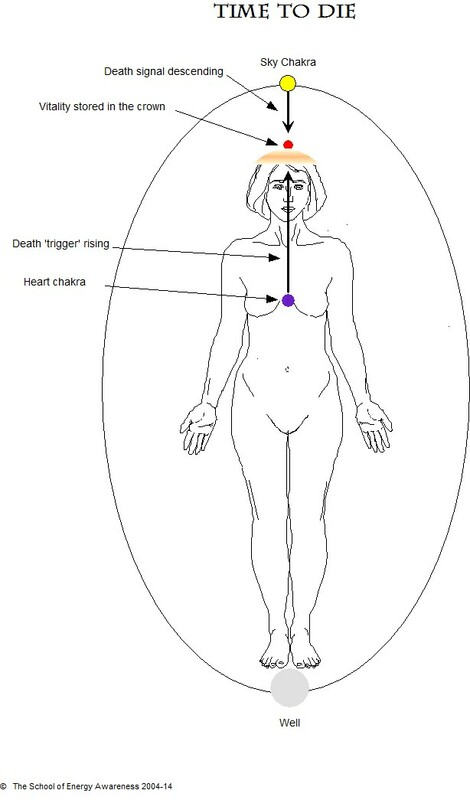 It directly increases qi in the left channel of each of these chakras. It also increases qi in the right channel of the 4th chakra. 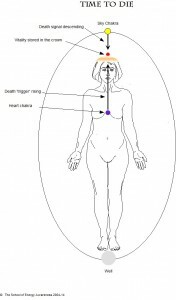 Your 4th chakra directly controls your heart function. Also the health of your stomach, duodenum, pancreas, breasts and much of the immune system. Fifteen minutes on a chi machine is claimed to be equivalent in ‘oxygen benefit’ to 90 minutes of brisk walking. So it can be an efficient alternative to outdoor exercise in the event of bad weather or when you lack the time to do more exercise. We have certainly noticed, through using the Surge of Chi Exerciser ourselves, improvements in heart function, stronger immunity and a greater sense of well-being. Increasing qi in the left channel of the 2nd chakra directly acts as a sexual energy stimulator. So you not only experience increased libido but also avoid the common side-effects of popular medical stimulants. Your 6th chakra controls the frontal lobes of your brain, your autonomic nervous system and sensory organs: eyes, ears, nose, skin, etc.. Problems such as chronic fatigue, depression, anxiety, eczema, etc., always include a 6th chakra fracture – a lesion in the 6th chakra that causes a constant or fluctuating loss of qi. Since the Surge of Chi Exerciser is claimed to reduce stress and fatigue, and to improve skin tone – we can certainly testify to the former two – its energy-cultivating influence on the 6th chakra explains how it achieves this. When qi increases in the left side of a chakra then flows across to the right side, it brings physical and psychological benefits. In fact, an entire system of medicine – homeopathy – is based on this phenomenon. Homeopathy can’t be explained by conventional science because science is fixated on right channel phenomena. Homeopathy is a left channel science or, perhaps, medical art. By increasing energy in the left channel in such a way that it then crosses to the right channel in a chakra, homeopathic remedies can bring benefits that are unattainable through a direct right channel approach if the chakra fracture underlying an illness originates on the left side of the chakra. This is why millions of people have experienced benefits – many of them life-saving – from homeopathy after allopathic medicine has failed to help them. Many of the of the physical and psychological benefits attributed to chi machines by their users can be explained by this left to right side energy- crossover effect. All mobile phones cause lesions to develop in the left sides of the 2nd chakra (gonads), 4th chakra (heart and immunity), 6th chakra (autonomic nervous system) and 7th chakra (central nervous system). Since these are the areas most strongly affected by the Surge of Chi Exerciser, it may be a significant de-stressor from a day of mobile phone use or passive irradiation from other peoples’ mobile phones. Apart from increasing creativity qi, the Surge of Chi Exerciser also increases health qi in much of the left side of the 7th chakra, which controls the central nervous system. Consequently, I looked up peoples’ clinical experience of ‘goldfish exercise’ with respect to CNS-related disorders. Reports mention benefits for those suffering from Parkinson’s disease, autism, cerebral palsy, Alzheimer’s, senility, and much more besides. So this really is a health-maintenance and healing instrument that we can recommend for anyone – unless you happen to suffer from any kind of spinal or pelvic condition; in which case, do ask your practitioner for advice. We have recommended the Surge of Chi Exerciser to many of our clients, from whom we’ve received much positive feedback. * Please note that we may receive a commission for recommending products that meet our standards. This commission enables us to spend time researching products in order to discover which ones offer real whole body energy benefits. Last year, a well-circulated Swedish study found that people using cell phones doubled their risk of developing brain cancer and acoustic neuroma (a tumor that damages your hearing nerve). The study also showed that people who started using cell phones before the age of 20 were more than five times as likely to develop brain cancer. The European Parliament responded by voting 522 to 16 to urge ministers across Europe to impose stricter limits for exposure to radiation from mobile and cordless phones, wi-fi and other radiation-generating devices — in part because children are particularly vulnerable to the risk. “The scientific data show, with a high degree of confidence, that mobile phone exposure is associated with an increased brain tumor risk. The age group below 20 years is facing the greatest risk, which for malignant (deadly) brain tumors is about 400 percent, compared to non-exposed. When we take the long latency period of up to some decades into account, and the fact that large parts of our society, and especially more and more teenagers and even children are using mobile phones on a daily basis, we may well expect a brain tumor epidemic.